To increase game day bat speed, practice, and prepare yourself to hit the fastest pitches; on the extremities of home plate. 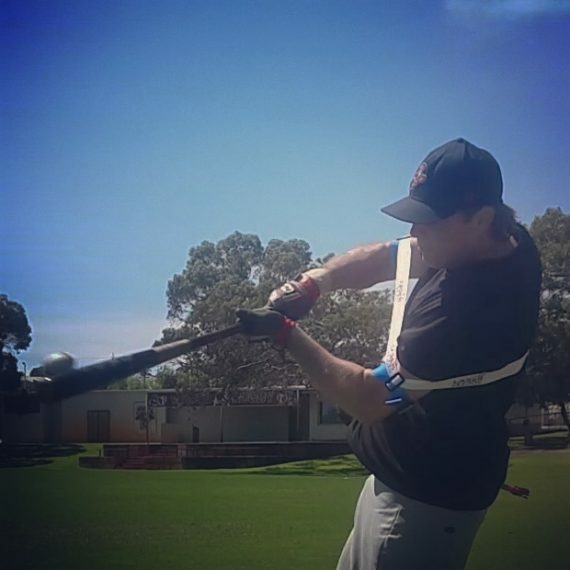 Opposingly, only practicing to hit a belt high, slow moving pitch, right down the middle of home plate; and swinging for the home run fence, you’ll develop a long game day swing. Image: Staying connected to your swing increases bat speed, and power. 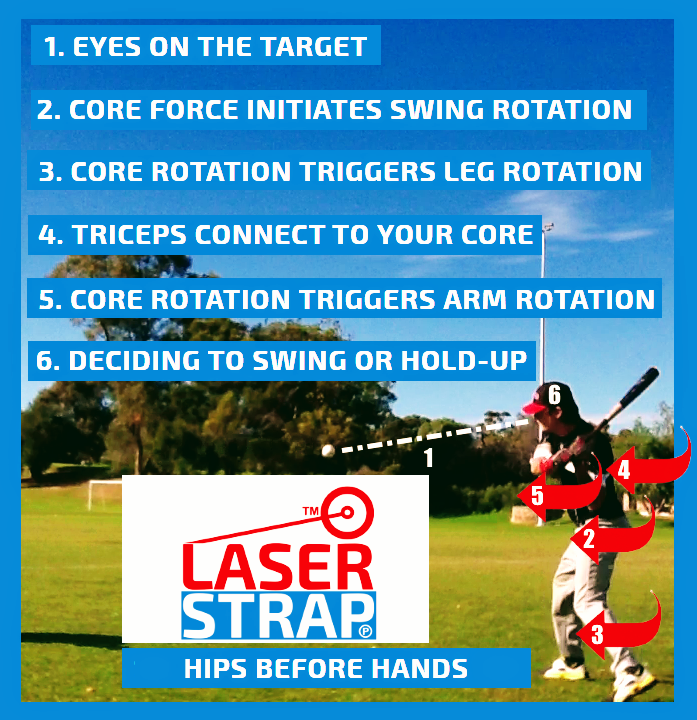 How Does Laser Blast Tee Drill Improving Your Swing? Increasing bat speed by accelerating your swing. 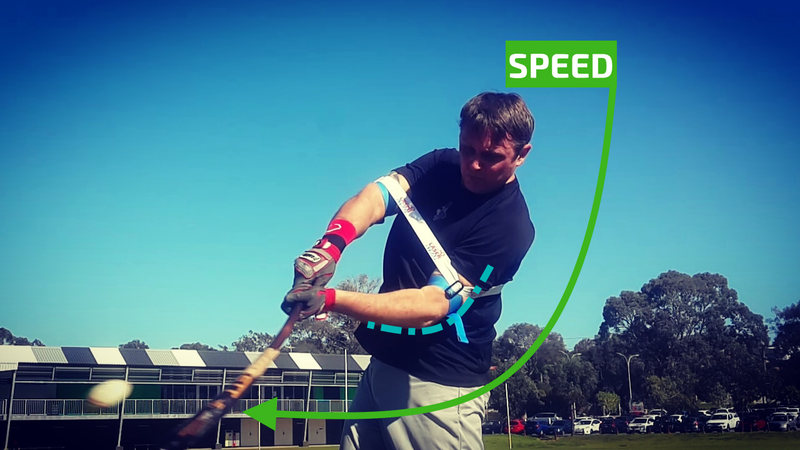 When you load your back elbow separates away from your body it pushes against our bat speed trainer; as you start your swing resistance, triggers acceleration, increasing your bat speed. Improves game day bat speed. Continually training with a compact and powerful swing path improves the performance of you fast twitch hitting muscles. Providing you with “bat speed muscle memory” for game day power. 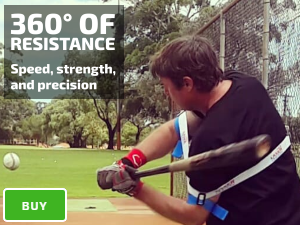 Connecting you to your core, training the perfect hands-inside-the-ball swing. Improve hitting mechanics. Our bat speed trainer guides you to a powerful swing path, giving you the opportunity to improve basic core mechanics. Video: Increase bat speed with 3 simple tee drills. Try to squeeze your knees into each other. Weight on inside balls of feet. Relax arms above the top of strike zone. Slight tilt at the waist. Relax your back elbow, and lower it closer to your body. Don’t try to pull the ball! 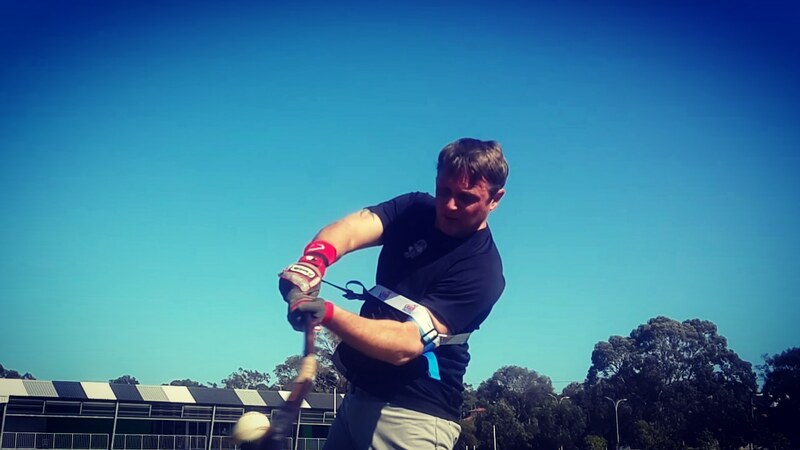 Focus on hitting a line drive, back up the middle of the hitting cage. Keep your head down throughout your entire swing. Try to hit the ball with backspin and watch the trajectory of the ball. If the ball tails it means your dropping the barrel head at contact, caused by a weak top-hand, hitting the high ball, or a weak a bottom-hand hitting the low ball. Stay balanced on your follow through. Falling off-balanced is caused from over-swinging and pulling off the baseball. Image: Increase bat speed using a compact swing path to hit a dominant fastball pitcher.